Hours after the killing of 15 Israelis in a Jerusalem restaurant last week, the brother of the 23-year-old suicide bomber delightedly announced that "this is a unique operation for its quality and success... Palestinians everywhere can now hold up their heads." Likewise, after a 22-year-old suicide bomber two months earlier killed 21 Israelis at a Tel Aviv discotheque, his father announced: "I am very happy and proud of what my son did and, frankly, am a bit jealous ... I wish I had done it myself." And so it has been with nearly all suicide operations - family members rejoicing at the "martyrdom" of their brothers and children. Some fathers even publicly announce a hope that their children will kill Israelis in suicide operations. Puzzled by this apparent denial of the primal human urge to protect one's young, President George W. Bush has commented, "I just can't understand this." He is hardly alone. Two main factors account for this bizarre behavior. The first concerns the Palestinian Authority drumming into impressionable youth the glory of suicidal death while killing Israelis. PA television harps constantly on this message. On the Children's Club (a Sesame Street-like children's program), a young boy sings: "When I wander into Jerusalem, I will become a suicide bomber." A repeatedly shown television clip calls on children to "Drop your toys. Pick up rocks." In another, the words to a children's song go: "How pleasant is the smell of martyrs, how pleasant the smell of land, the land enriched by the blood, the blood pouring out of a fresh body." Ikrima Sabri, the PA's ranking religious leader, says, "The younger the martyr, the greater and the more I respect him," while praising mothers who "willingly sacrifice their offspring for the sake of freedom." PA schools indoctrinate pupils on the virtues and joys of martyrdom, then honor and celebrate suicide killers. Four summer camps are currently training eight- to 12-year-olds for suicide bombings. Organizations like Hamas promise to look after the killers' families' financial needs. In all, notes Meyrav Wurmser, a Hudson Institute specialist on the indoctrination of pupils, the PA has developed "a state-run ideology that pushes [children] to their death." Why does this indoctrination work and why do Palestinian families enthusiastically send their children to die? What pressure could overcome the human instinct to protect one's beloved? That pressure is not hard to locate, for it pervades Middle Eastern life. This second factor is an unrelenting, compulsive preoccupation with family honor. The power of this obligation goes far beyond anything Westerners encounter. The fixation on family honor takes two main forms. The negative one, called ird in Arabic, concerns the sexual purity of women and it accounts for the Middle Eastern custom of murdering female relatives for perceived offenses to the family. Such honor killings are intended to purify the family from its shame; thus do brothers kill sisters, cousins kill cousins, fathers kill daughters, and even sons kill mothers. These men do so not because they want to - almost nothing could be more horrifying in the context of the tight-knit Middle Eastern family - but because they feel obliged to. Allowing a dishonored woman to remain alive brings ridicule and disdain on the entire family. In such circumstances, mere love for a daughter or sister dwindles into insignificance; she must be killed. Thus, after an Egyptian father strangled his unmarried but pregnant daughter, cut her corpse into eight parts, and threw those down the toilet, he explained his reasons: "Shame kept following me [before the murder] wherever I went. The village's people had no mercy on me. They were making jokes and mocking me. I couldn't bear it and decided to put an end to this." The positive form of honor (sharaf in Arabic) involves efforts to enhance the family's status by taking steps to win it praise and renown; and nothing can win a family as much glory as its willing sacrifice of a family member for a noble cause. Thanks to PA propaganda, suicide bombing has become a highly honored act. Thus, the Tel Aviv bomber's father crowed about his son, "He has become a hero! Tell me, what more could a father ask?" Combined, the monstrous social environment created by the PA and the families' preoccupation with social status goes far to explain why Palestinians glory in the destruction of their youth. 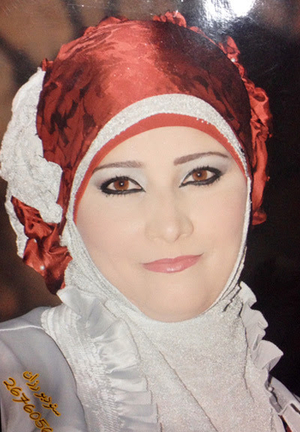 Thamar Zeidan, honor killed by her father in September 2013. Men from the neighbourhood attacked Mr. Na'lweh and he ran into the house. The police were called and the attackers, who believed they were defending her honour, were arrested. The men were later released and Ms. Zeidan was taken to Ramallah by her sister and brother-in-law so matters could calm down. But then members of Thamar's extended family widely circulated a petition that accused her of "disgraceful and outrageous acts" and demanded that her father, Munther, "reinstate the cultural and religious morals in his family." Posted in five mosques, it was signed by more than 50 relatives. "My husband was under tremendous pressure," said Thamars mother, Laila. "The family wanted to banish us from the West Bank and people started rumours that my husband wasn‎‎'t mentally stable." Reacting to these demands to restore the family's honour, Munther killed his daughter in September 2013, choking her to death as she napped. He then went to the police station and turned himself in. Munther wrote a letter in which he held those who circulated the petition responsible for Thamar's death. Laila commented that "My husband is a peaceful man and this is completely out of character, but the pressure was too intense." Indeed, some relatives considered the death "a cause for celebration. Ms. Zeidan's aunt held a feast celebrating that the family's honour had been restored."